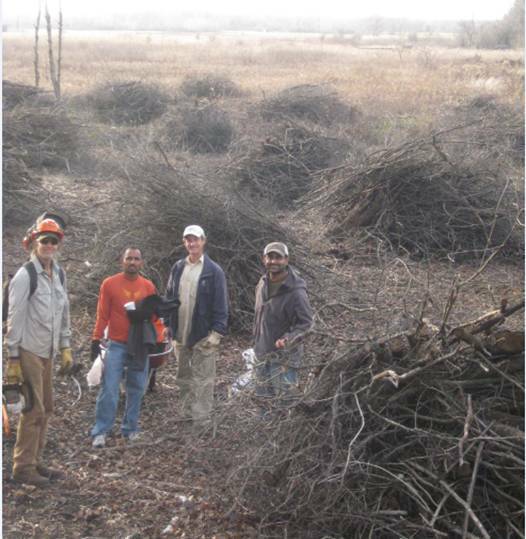 Thanks to my good friends we almost finished piling all of the brush at the Indian Springs that Rich and I prepped Last Thursday. 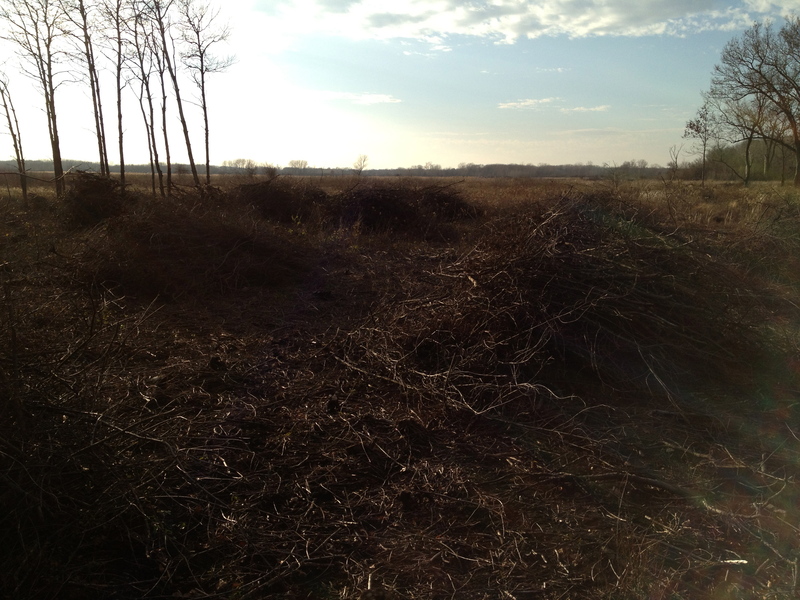 This area was one of the nastiest Buckthorn thickets we’ve ever had the pleasure of cutting. 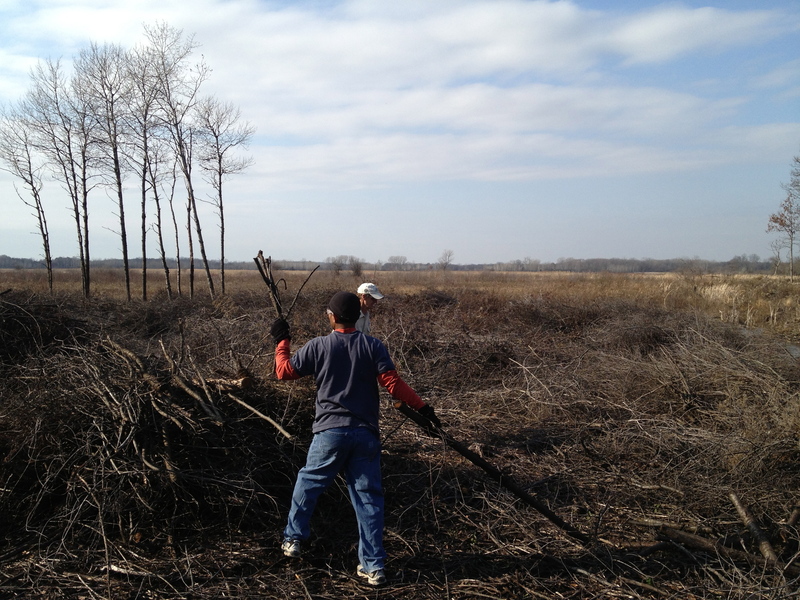 While I was still working at Northwestern Mutual, I often told my coworkers about my work in the Kettle Moraine and today Chakry Indlamuri and Sriram Raghavulu came out to check it out and pile some brush. 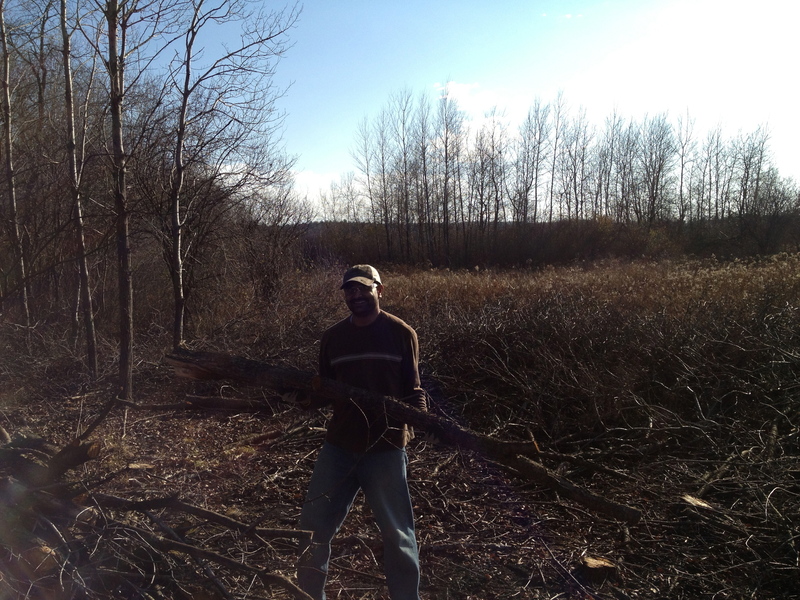 Here is Sriram in action. 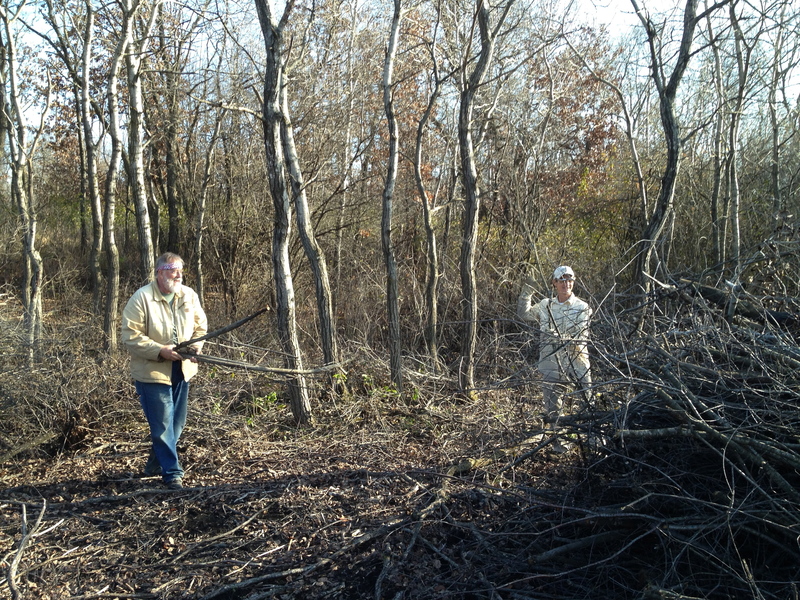 Later John and Sue Hrobar joined in. Sue gave me a thumb drive with hundreds of pictures she took at the Springs and we’ll post some of them here soon. And finally my ever lov’in mate Pati arrived with some awesome peanut butter cookies and took this picture. 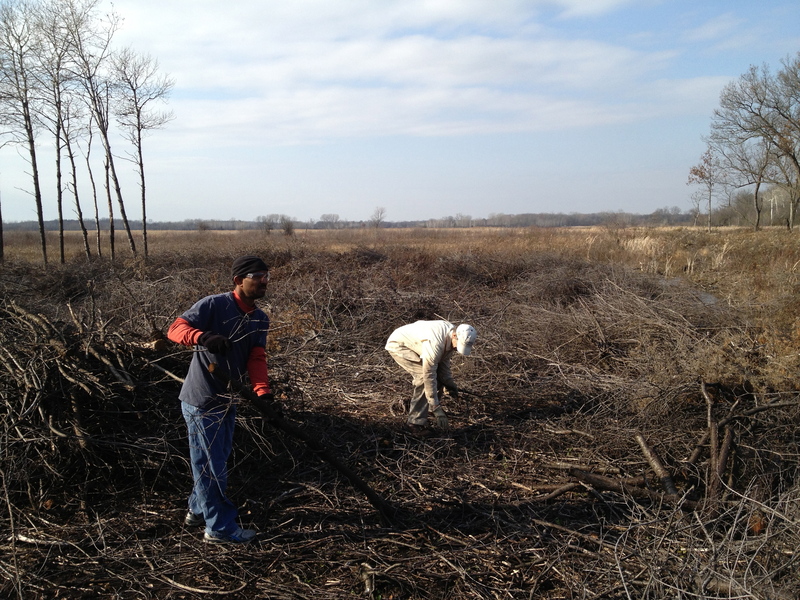 We made around 20-25 piles and Sriram and Chakry both plan to come back and help again! It was a warm, sunny day and a lovely breeze kept us refreshed. 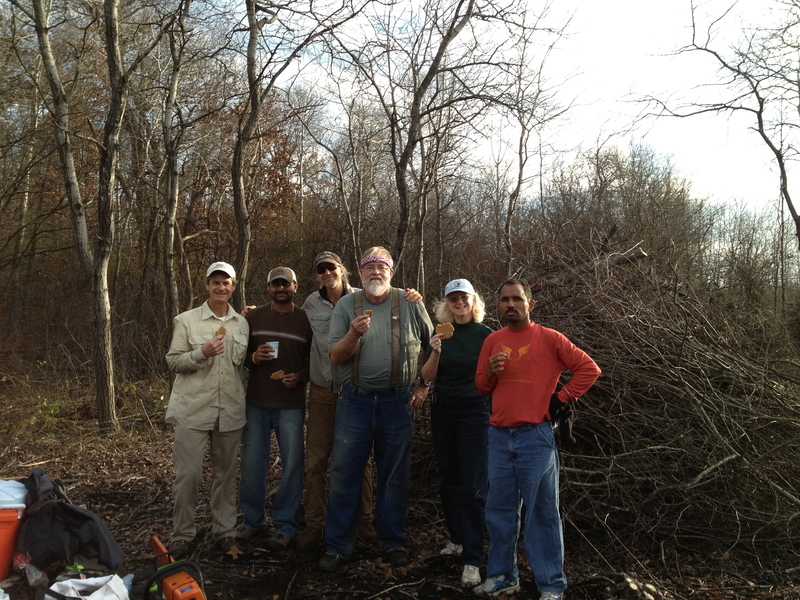 Speaking of which, Chakry brought a bottle of Champagne and a bit of Chivas Regal and we “partied” by the Scuppernong Spring. “…I get high with a little help from my friends…”. 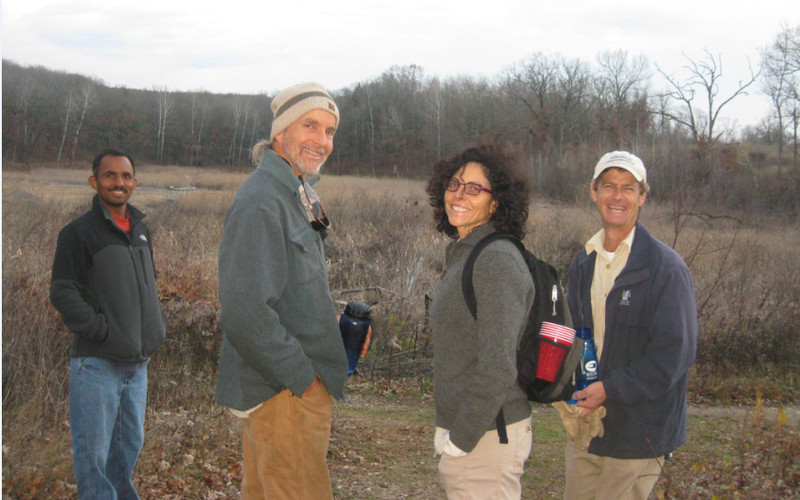 This entry was posted in Brush Piling, Indian Springs and tagged Brush Piling, Buckthorn, Indian Springs, Kettle Moraine State Forest, Kettle Moraine Trails, Nature, Scuppernong River, Scuppernong Springs, SouthEastern Wisconsin Hiking Trails by paulmozina. Bookmark the permalink. 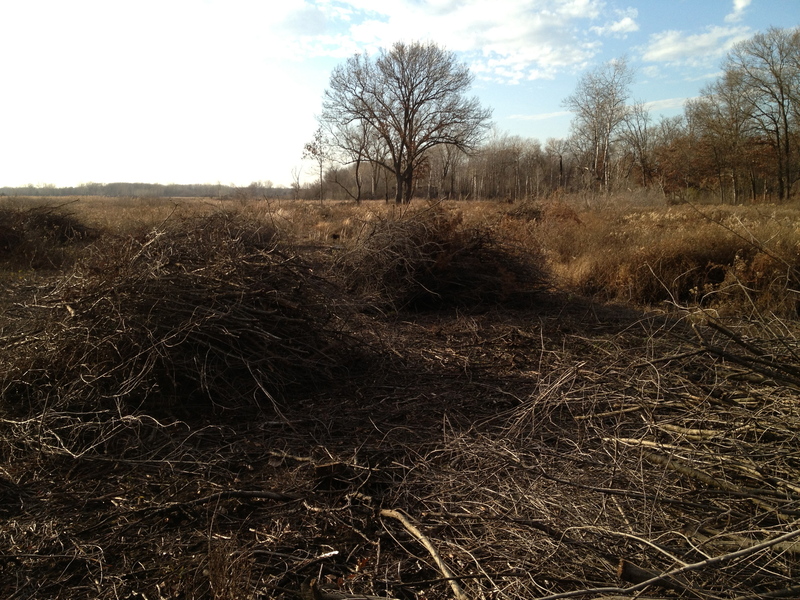 wow that was a LOT of brush.. 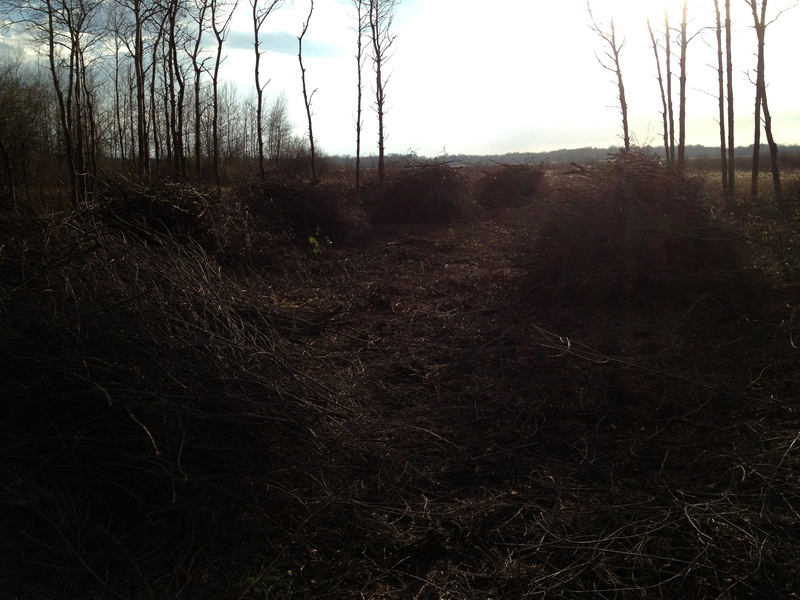 There appear to be more space taken up by the piles than by the NON piles. 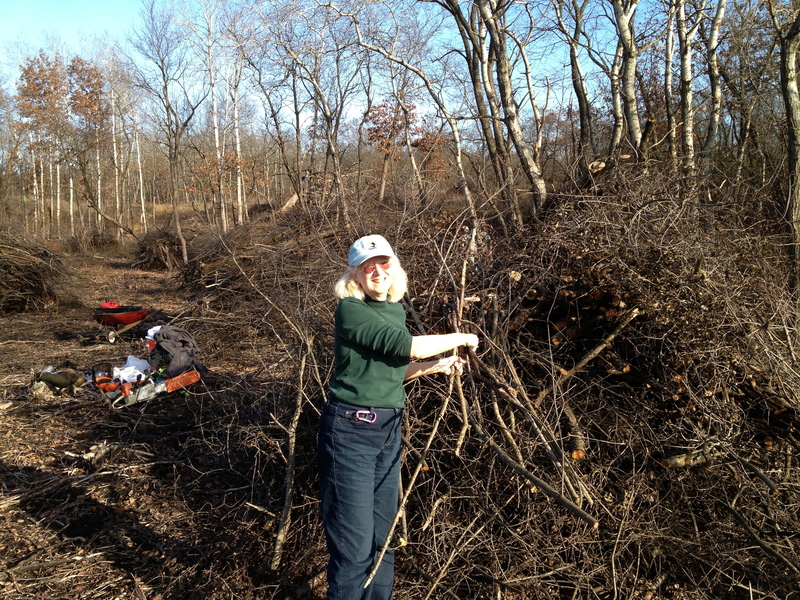 I neglected to mention that Lindsay helped cut a lot of the nasty thicket at the Indian Springs. The way I described it, you might have thought I did it all by myself. 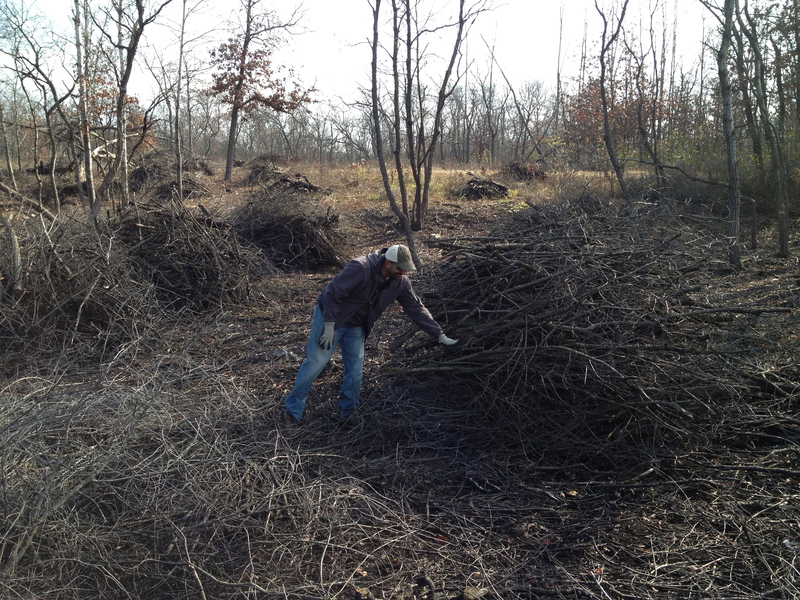 Lindsay piled brush ALL day with us and he made a great contribution as usual.